Service Window Hours: Monday through Friday from 8:45 a.m. to 5:00 p.m., and Saturday 8:45 a.m. to 1:00 p.m.
Post office boxes in the lobby may be accessed Monday through Saturday from 6:00 a.m. to 6:00 p.m. This post office does not process US passport applications or renewals. 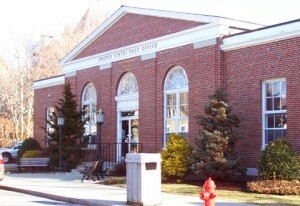 That service is available at the New Bedford main post office at 695 Pleasant Street, New Bedford.